I get it! Now I know what all the excitement is about and why everyone is talking about The Hunger Games by Suzanne Collins. Once you start reading this book, you will not be able to put it down. The Hunger Games Trilogy is set some time in the future. The United States as we know it is long gone and in it’s place is the country of Panthem, which is divided into 12 Districts. Once a year, one boy and one girl from each District are chosen to compete in The Hunger Games, a reality television show like none other. The contestants or Tributes are taken to the Capitol and must fight until only one person is left alive. To make it even more interesting the Gamemakers have the power to add obstacles and or change the rules at will. It is their job to keep the game interesting. The Hunger Games is a real page turner. It is exciting as well as suspenseful. You just never know what is going to happen next. Although there is some violence, after all, how could there not be, it is not overly graphic and if I can handle it, anyone can. If you have read my reviews you know that I am the first to put a book down if it is too violent! I enjoyed the book so much that as soon as I read the last page I downloaded the second in the series, Catching Fire (The Hunger Games #2). The Hunger Games is a quick read, not necessarily because it is a short book, but because once you start reading, you will not be able to stop until you read the very last sentence! Have you read The Hunger Games Trilogy? Do you plan to read it? 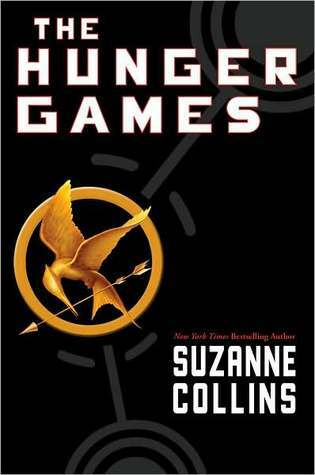 The Hunger Games was our book club’s October book to discuss as our Young Adult fiction choice for the year. I loved the fast-paced storytelling so much I bought the second book and borrowed the last book from the library. I need to find another series like it for next year! Any suggestions? Yep – read the whole series obsessively right after I was given my Kindle which made it real easy to get the books!! Hi Julienne and Mona! I guess you were as drawn into this series as I was. I just started Catching Fire and plan to do nothing but read tonight. It is not going to be easy to find another young adult series like The Hunger Games. Did you read The Book Thief by Markus Zusak? Does anyone have any YA books to recommend? I read the entire series in one weekend — couldn’t put it down!! I can’t wait for the movie this Spring. It will be interesting to see how the movie compares with my imagination! I just finished reading the three books and really enjoyed them. I read the 3 books in less than a week and can’t wait for the movie to come out! Hi Sarah, I am almost finished the third book and feel the same way! What are you reading next?